With the new venture in Malaysia, Continer Kebab Sdn Bhd not only planned to bring the product and brand but also introduced the business concept, logistics management and also design concept of the shop to Malaysia. 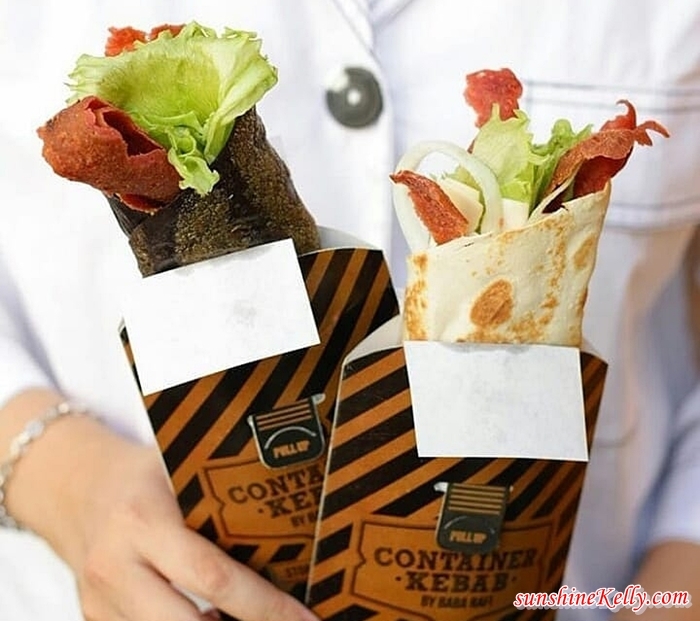 According to Kenny Poh, Managing Director of Container Kebab Sdn Bhd he believe that the product is suitable for ASEAN tastebud, the quick meal, and grab and go concept also appealing to the young generation. The company is ready to work together with entrepreneur who is interested in Container Kebab through licensing or joint venture scheme. Container Kebab business model is on a more affordable side compared to other food chains. With the cost about di RM120,000 to RM150,000 to attract the small and medium entrepreneurs wh wish to venture in F&B business. During the press conference, we get a glimpse of the Container Kebab store new design and concept visuals. The first outlet of Container Kebab in Malaysia will be at Wangsa Walk in July, 2018. We can’t wait to see the real physical outlet and also try their food in July. Kebab yang best i pernah rasa kat Gold Coast Australia sebab sayur yg digunakan rangup sangat. Harap2 kebab ni bole challenge rasa yang kat GC. Kalau teringin kebab leh la gi sini. Can't wait to try these, I love kebabs and they look really delicious! Wow..I love kebab and hopefully Baba Rafi will open an outlet at Terengganu. I want to give a try..
Yeah. Pleas open near my place so that I can enjoy the kebab with my friends. A easy way to way our figures too. Tak sabar nak tunggu bulan Julai. Mesti best gila bila mereka dah mula beroperasi di Cawangan pertama kan. Hehehe. Can't wait to try Kebab terkenal Indonesia ni. Harap-Harap harga berpatutan. I do enjoy kebabs and this new concept is very attractive. I will definitely stop by for a snack should I come across it one day! Good business concept that I don't mind sharing with those looking for a new opportunity. on another note, hope can get to taste their kebab in July! Wow! I like the packaging! Very handy and convenient for on the go! Cool concept!